Use the form below to contact accommodation Cinnamon Heights directly. 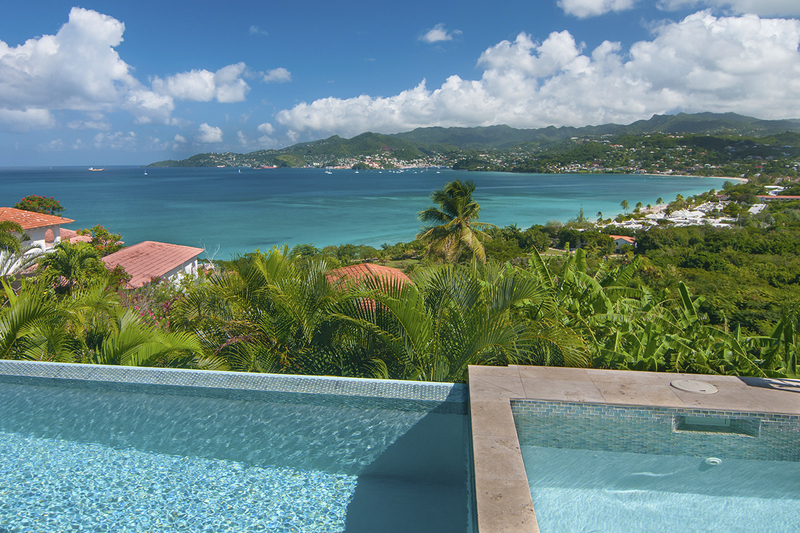 Cinnamon Heights is one of Grenada’s most luxurious boutique villa properties. 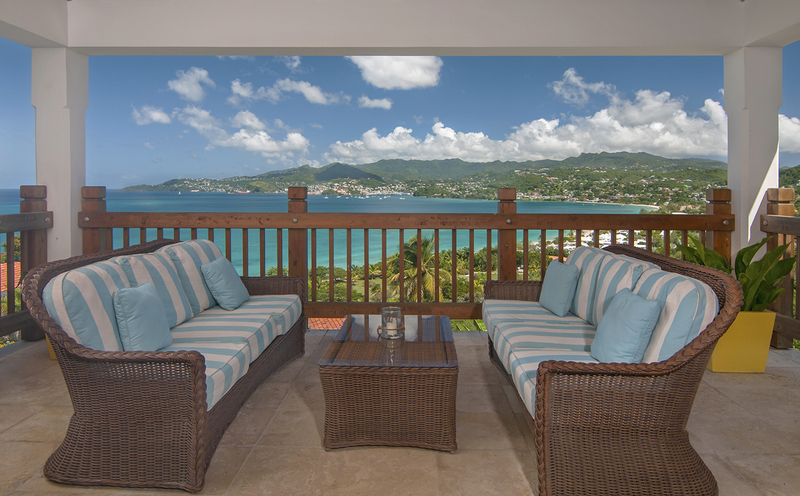 It enjoys breathtaking views over the Caribbean Sea towards the capital St. George’s and the hills beyond. It is situated within the boutique Mount Cinnamon Resort & Beach Club and so enjoys access to the full range of services and facilities. Within the convenience of its location you will be ideally situated for a fun-filled, relaxing holiday in the sun. 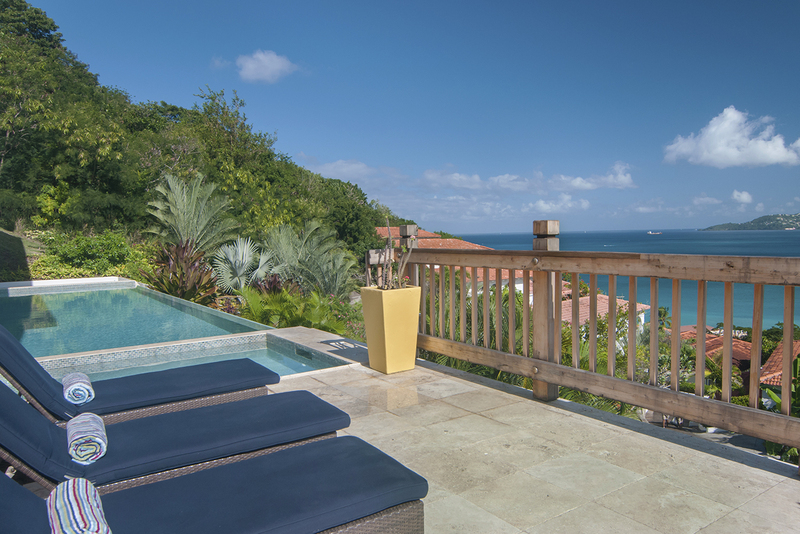 Amidst the tropical gardens of Mount Cinnamon Resort, the villa is a very private tranquil oasis, cleverly designed to embrace open-air Caribbean living. The villa is located at the top of the hill but well worth the walk up. Your reward is the spectacular view! 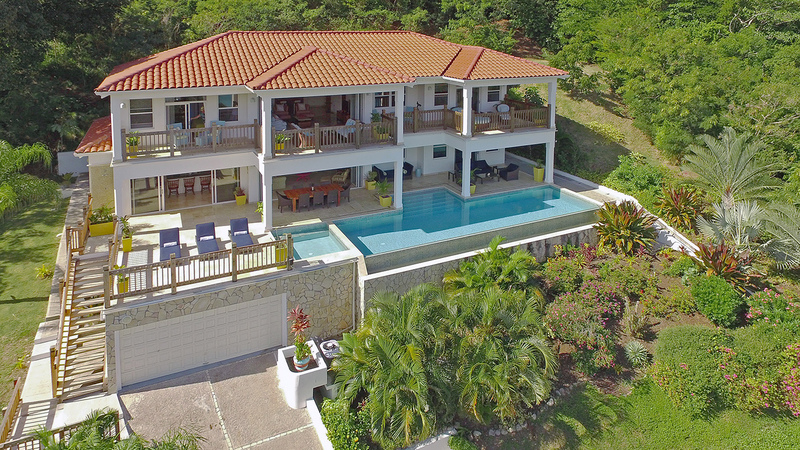 With 6,000 sq ft of indoor space, verandas and decks, the villa is incredibly spacious. The villa is specifically designed for outdoor living and is arranged to take maximum advantage of the views from all rooms and its own large infinity pool. It has been stylishly decorated with contemporary classic furnishings and every comfort and amenity has been incorporated into the design. 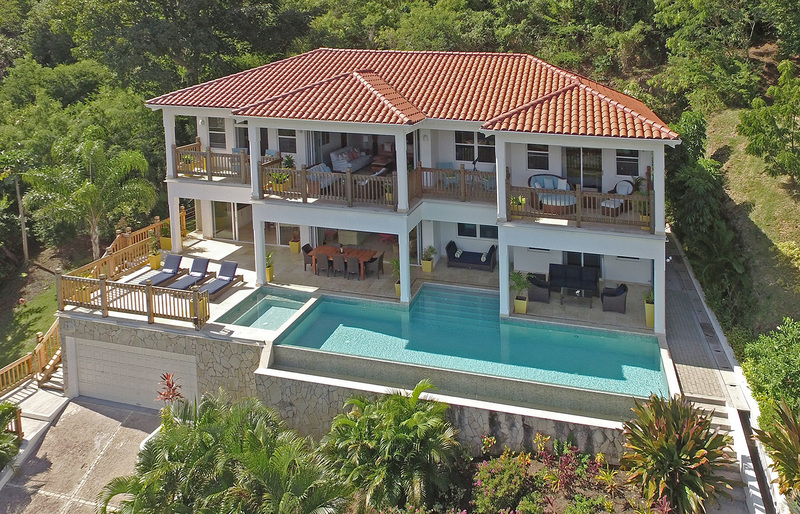 The 2 storey villa has extensive verandas as well as a large infinity pool and separate jacuzzi tub so you can enjoy the panoramic view of the Caribbean Sea and Grand Anse Beach. Indoor amenities include a fully fitted kitchen and laundry with the latest appliances, WIFI, Cable TV’s and Bluetooth music player. 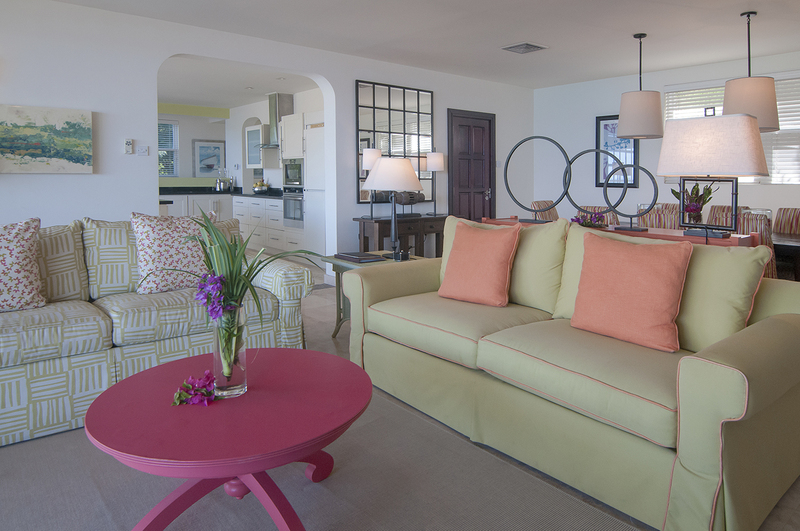 The villa can accommodate up to eight guests. 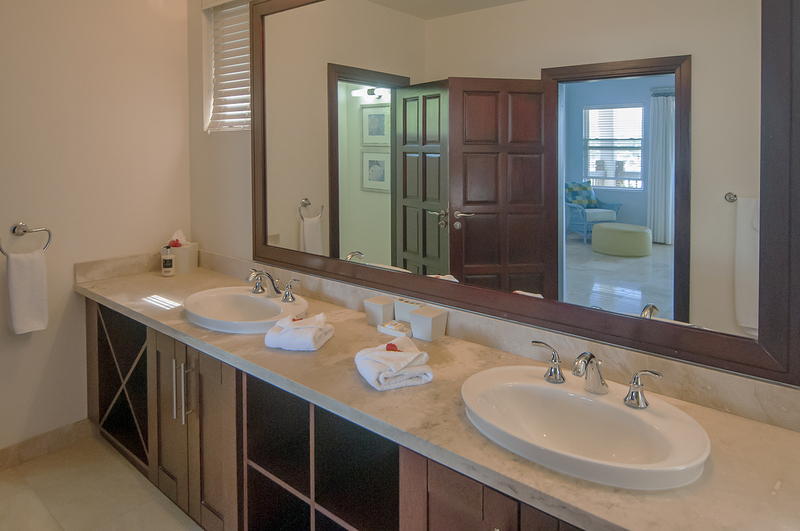 Each of the equally spacious 3 bedrooms include an en-suite bathroom, double vanity, air conditioning, ceiling fans and sliding doors leading out to the pool or upper veranda. Two of the bedrooms have a separate dressing room/office which are suitable for additional beds for children. 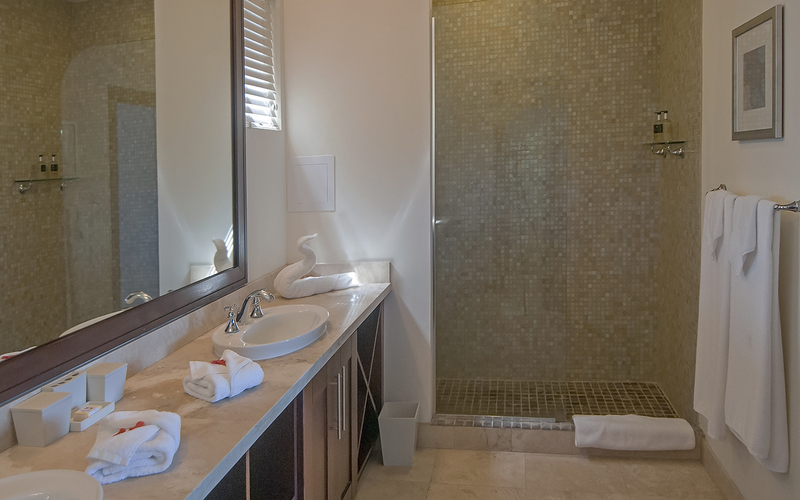 There are a total of 5 bathrooms (3 ensuite and 2 powder rooms) in the villa. 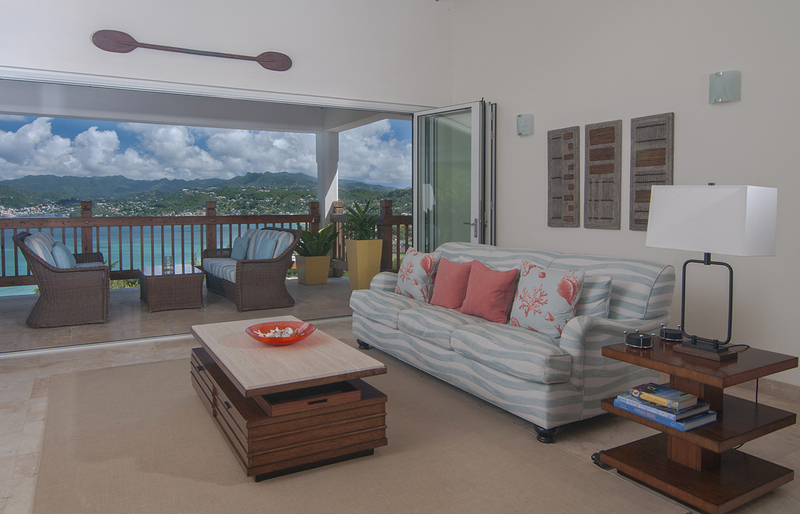 The living and dining areas maximize the indoor/alfresco lifestyle by providing easy access to the outdoor areas. 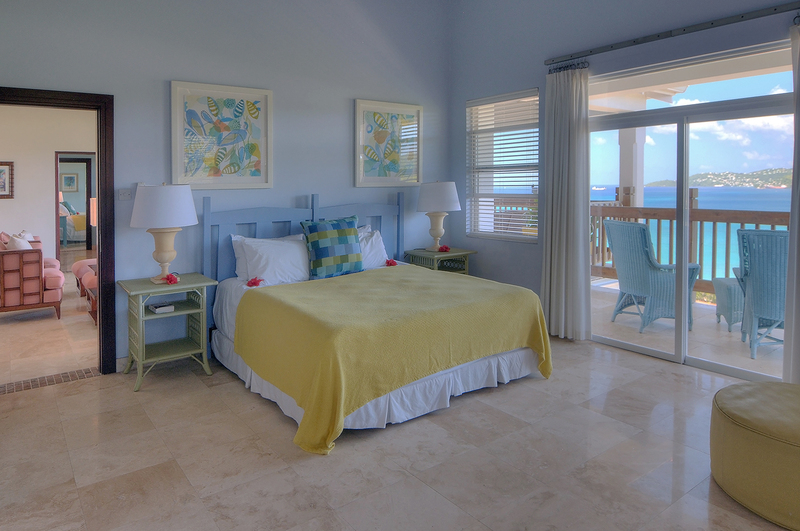 The villa is fully air-conditioned throughout but also provides ceiling fans for those who prefer to enjoy the cooling effect of the breeze and go to sleep to the sound of the waves. 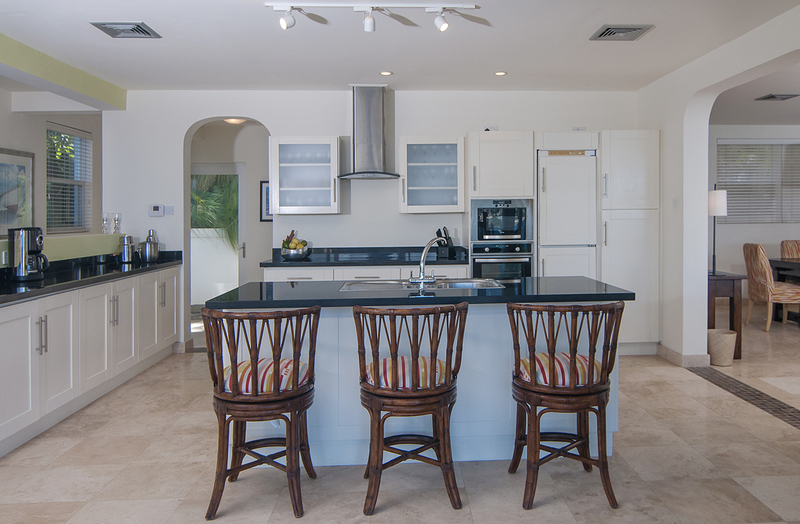 The gourmet kitchen includes an attractive island breakfast bar and opens onto the pool deck to facilitate al fresco dining. It connects to a large reception room with spacious dining area, sofas, TV and full width folding doors opening onto the pool deck. This creates a wonderful, integrated indoor/outdoor area for daytime living. 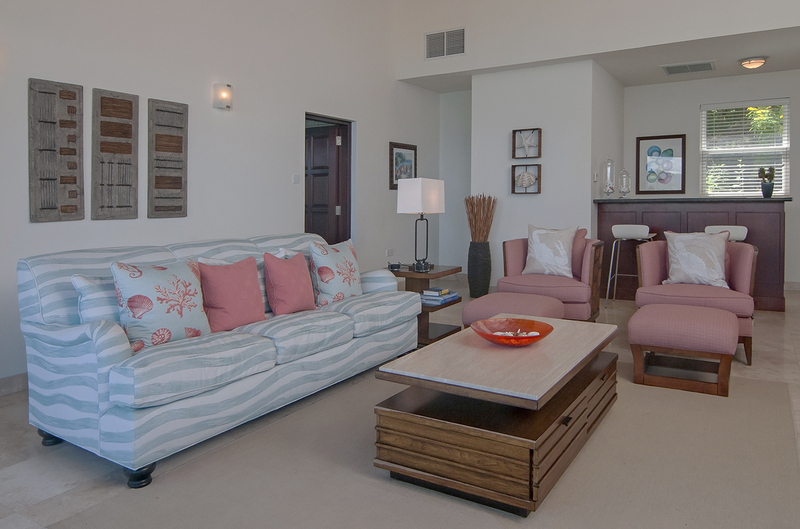 All rooms on the first floor have magnificent vaulted ceilings to create a spacious, airy feel. 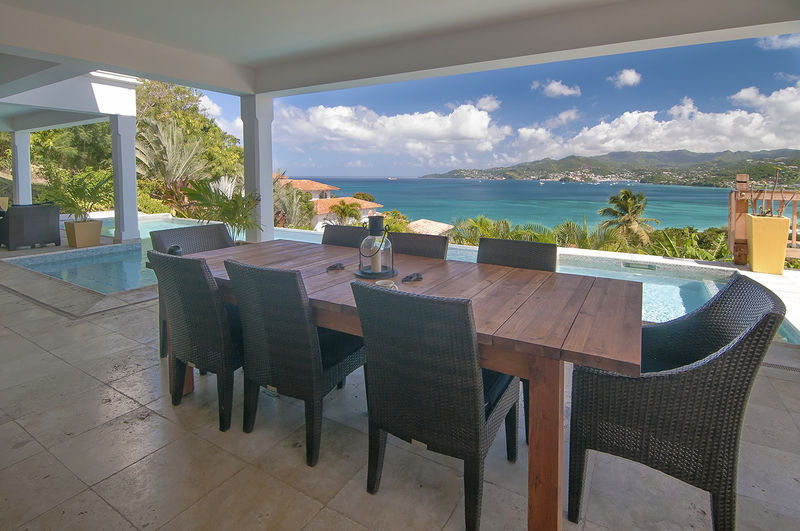 The centrepiece is the Great Room with its own cocktail bar area, refrigerator and sink making it the perfect place to enjoy a drink while watching the sunset. Its full width folding doors open onto a veranda that runs the length of the villa. This area has a selection of comfortable chairs for relaxation where guests can kick back and enjoy the far reaching sea views. 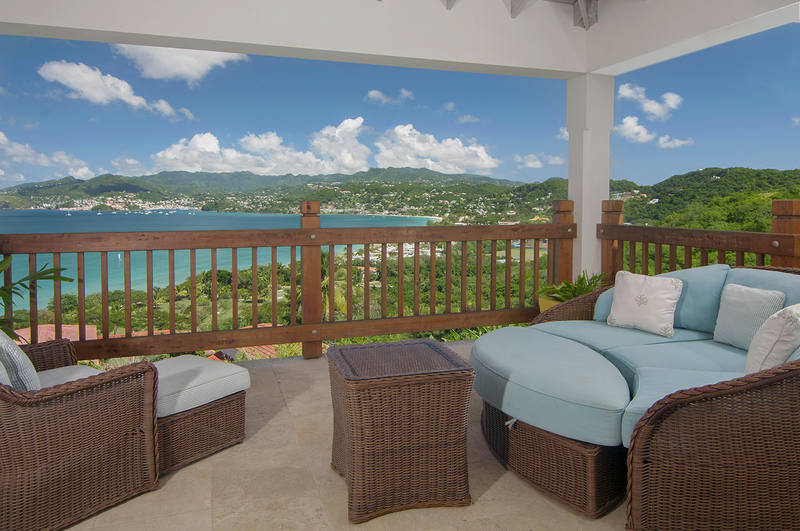 As the days wind down, recline with your favorite cocktail and enjoy the serenity of Cinnamon Heights! The only bedroom located on the ground floor, this spacious bedroom features a king size bed, en-suite bathroom with large shower, double vanity, separate dressing room/office (suitable for additional beds for children), air-conditioning, ceiling fan and safe. 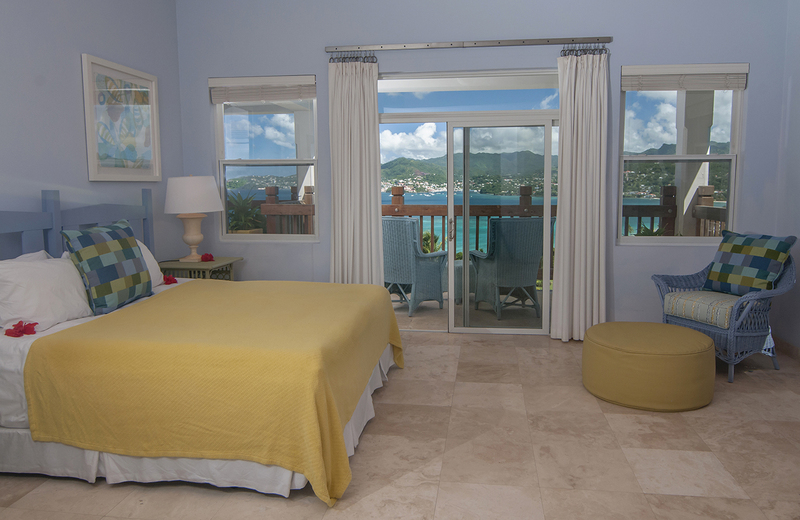 This bedroom has sliding doors that open onto the main veranda and pool deck. 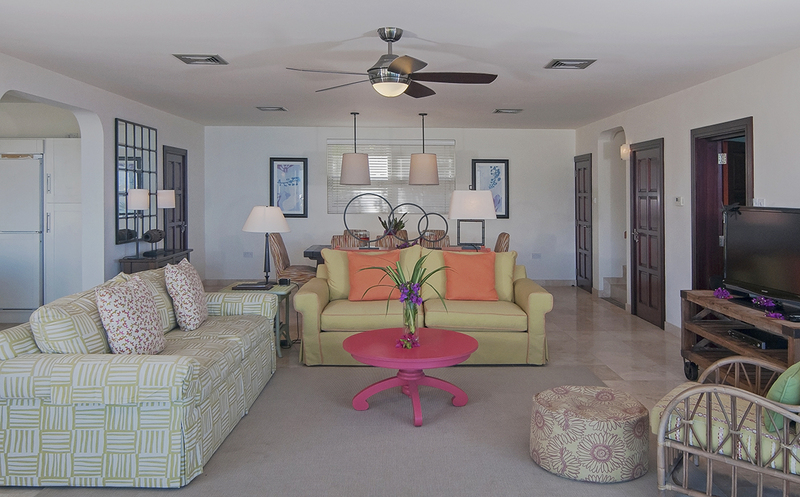 All rooms on the first floor have magnificent vaulted ceilings to create a spacious, airy feel. Bedroom Two features a king size bed, en-suite bathroom with large shower, double vanity, separate dressing room/office (with sleeper beds for children), air-conditioning and ceiling fan. 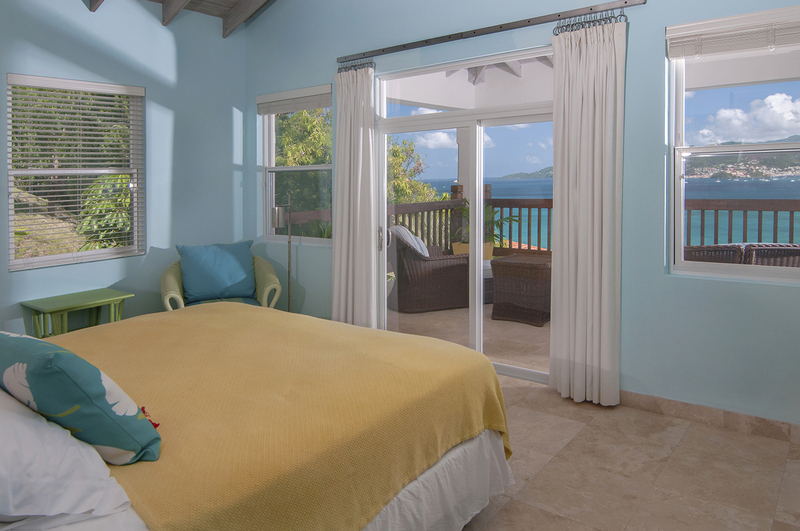 This bedroom has sliding doors that open onto the beautiful upper veranda with a comfortable outside seating area. 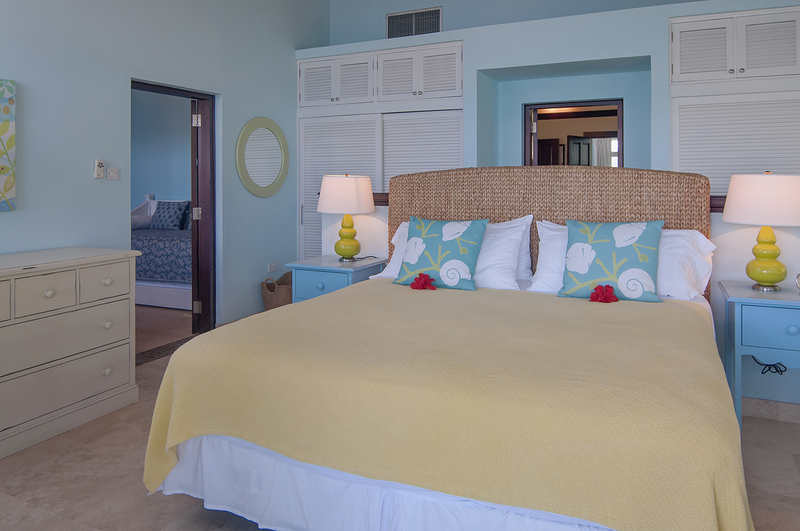 Bedroom Three features a king size bed or twin beds, en-suite bathroom with large shower, double vanity, air-conditioning and ceiling fan. 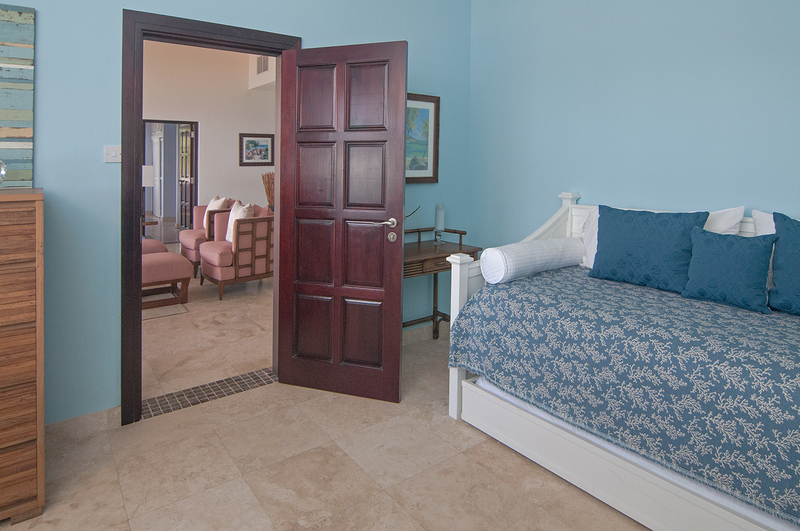 This bedroom has sliding doors that open onto the beautiful upper veranda where two chairs are waiting for you. 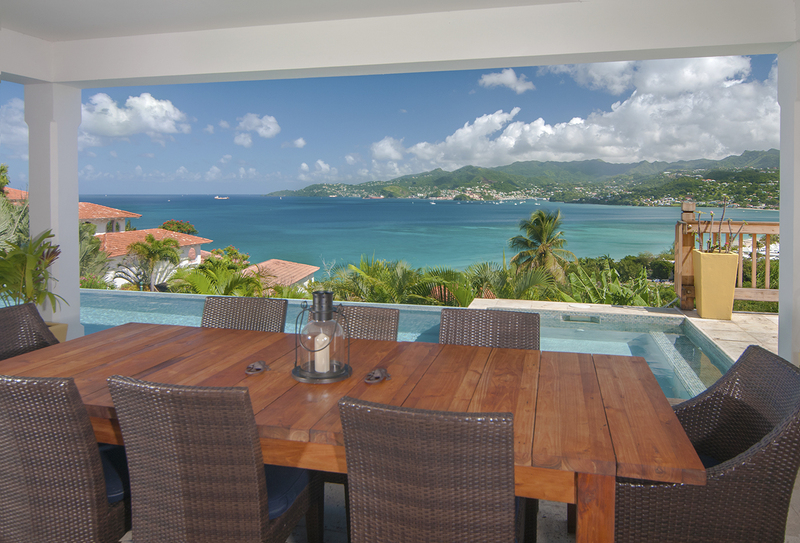 Located in the area called Grand Anse, there are a wide choice of excellent restaurants in the vicinity. 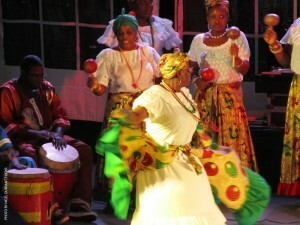 This area is in the tourism belt of Grenada. 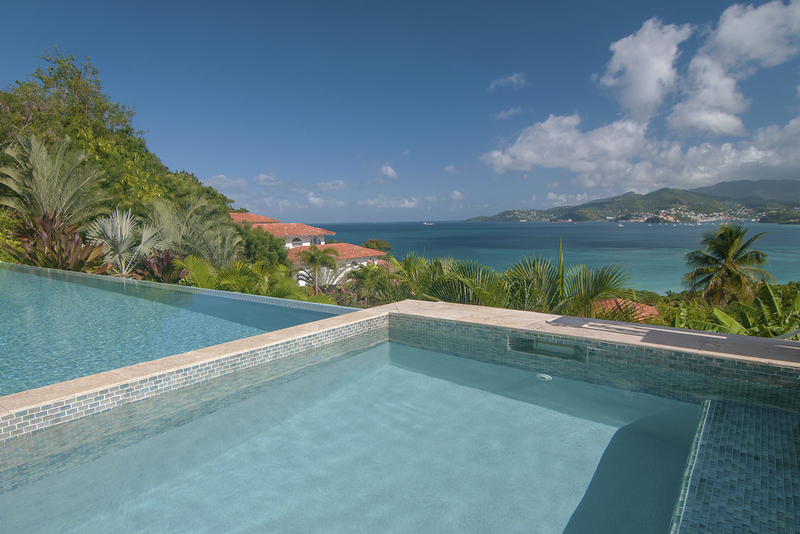 The villa is perched above the world famous Grande Anse beach. Spiceland Shopping Mall (which houses Real Value IGA Supermarket) is only a 5 minute walk away. 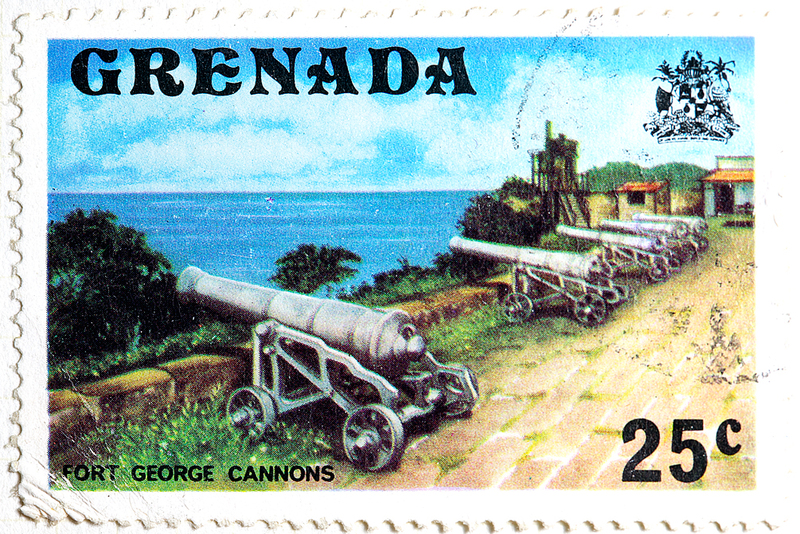 The town of St Georges is 15 minutes away. 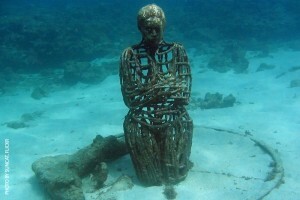 Maurice Bishop International Airport is very close and not even a 10 minute drive away. Booking periods: A 7 night minimum stay is required during the Festive Season. Rental Notes: Smoking is only permitted in outdoor areas. Maximum 8 guests. Deposits: 50% of total booking at time of reservation. Balance is due 30 days prior to arrival. Cancellation: We will refund your deposit if you cancel more than 60 days prior to arrival in winter season and 30 days in summer season. 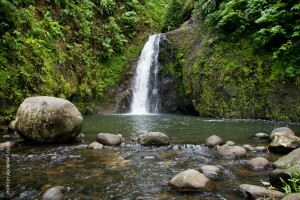 We recommend guests take out travel insurance to include possible loss of deposit. No shows will result in a full forfeit. Snorkelling, swimming, walks, dining out, scuba diving, none motorized sporting activities at Prickly Bay, games room at Prickly Bay and variety of evening activities at Prickly Bay.